The Philips Sonicare DiamondClean rechargeable toothbrush has diamond-shaped bristles that help sweep away plaque. 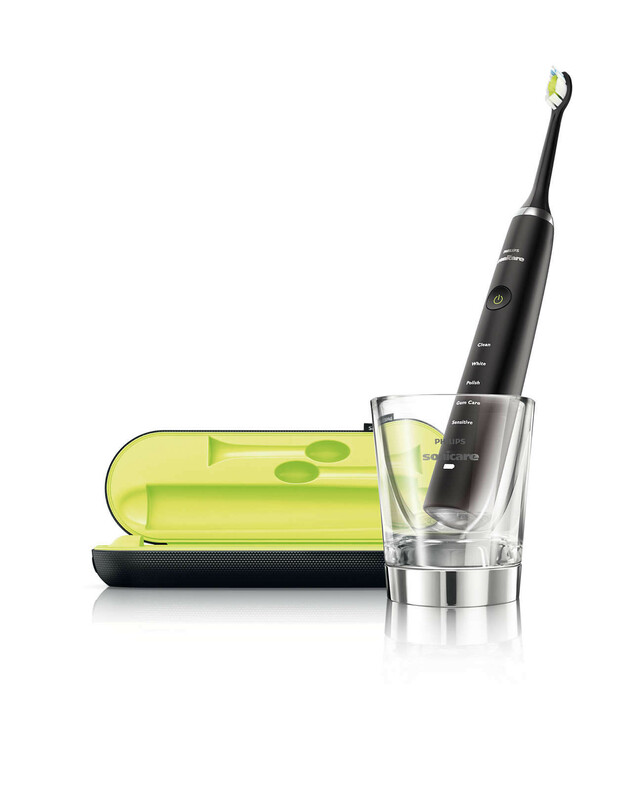 The toothbrush has a dynamic cleaning action that drives the fluid between your teeth for superior cleaning. The bristles are medium-stiff, providing a firm but gentle experience, improving gum health in just a few weeks. The design of the handle, high density, diamond-shaped bristles and a range of 5 cleaning modes provide a clinical level clean recommended by dentists. 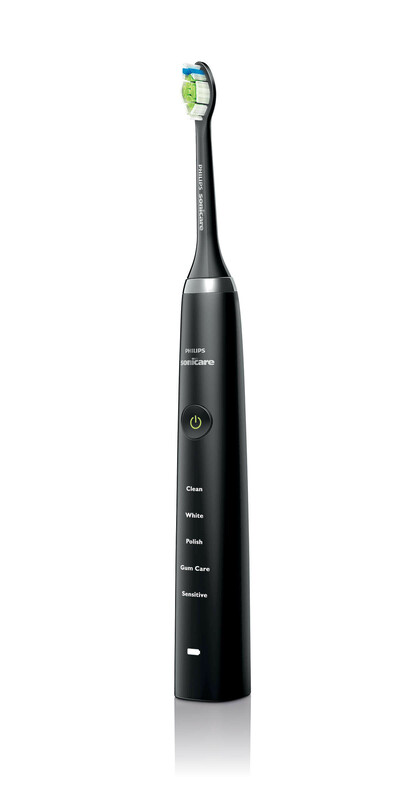 For added convenience, the Sonicare DiamondClean toothbrush has a 2-minute timer to ensure you stick to your recommended brushing time and a Quadpacer 30-second interval timer that encourages thorough brushing. It comes with a stylish glass beaker for storage that also acts as a charger for the handle and a compact travel case with USB charger so you can charge your DiamondClean even when travelling. • Advanced diamond-shaped bristles provide a greater surface area for an exceptional cleaning and whiter teeth in just one week. 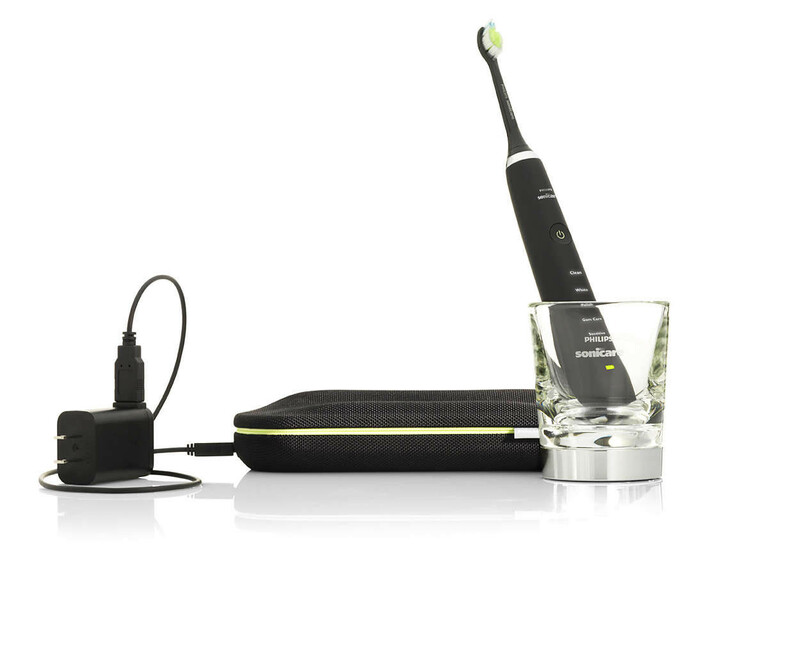 The uniquely designed diamond bristle heads have 44% more bristles than Philips Sonicare's standard sized ProResults, providing you with both superior plaque removal and whiter teeth. • Sonicare’s unique dynamic cleaning action drives fluid between the teeth, effectively cleaning every surface and along the gum line for a difference you can see and feel. • With hidden LED control, the simple, elegant design is highlighted from within by lights that glow and fade when not in use. 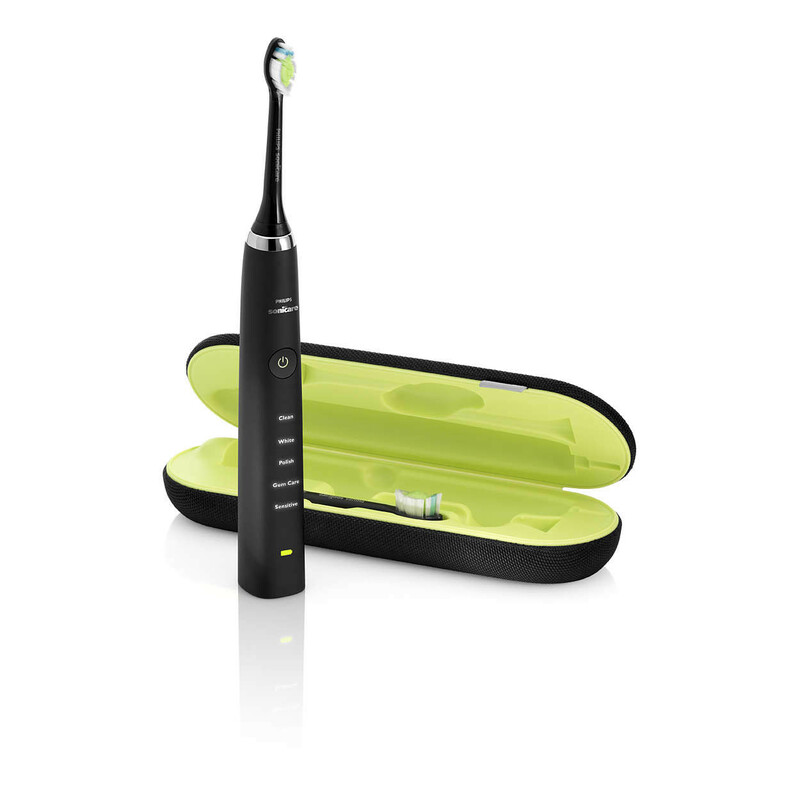 • 2-minute timer automatically tracks brushing time, ensuring recommended brushing regime is followed and turns the toothbrush off when brushing is complete. • Safe to use on braces (brush heads wear out sooner when used on braces), dental restorations (fillings, crowns, veneers) and periodontal pockets. 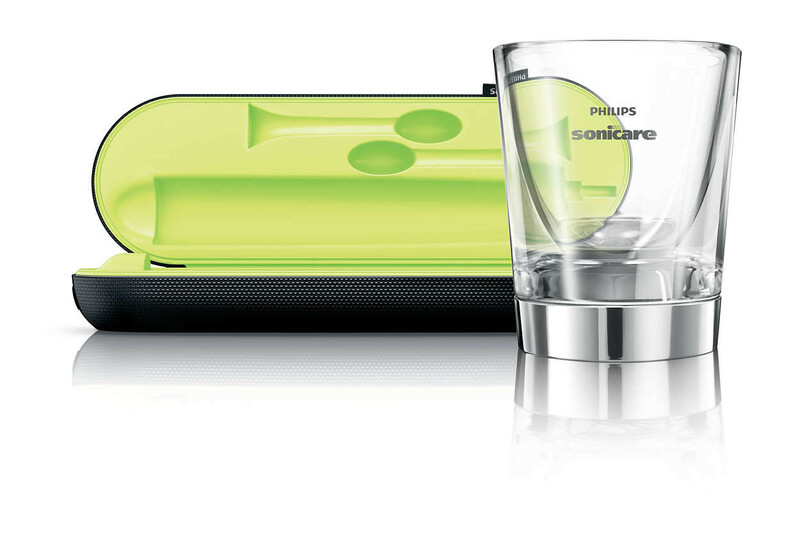 • Sleek, stylish design featuring innovative glass charging cup and USB charging travel case. 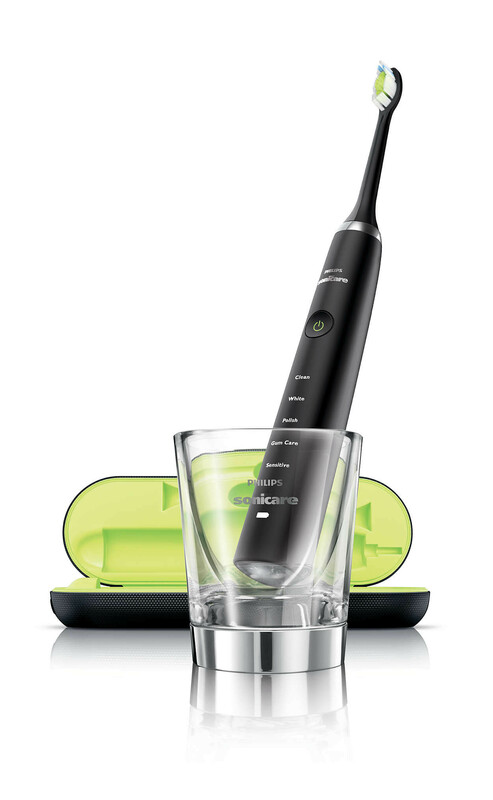 The glass not only charges your toothbrush as it rests in it, it also can be used for rinsing your mouth. The battery life is fantastic for this toothbrush, the travel kit is neat, my teeth got amazingly clean and whiter than before!